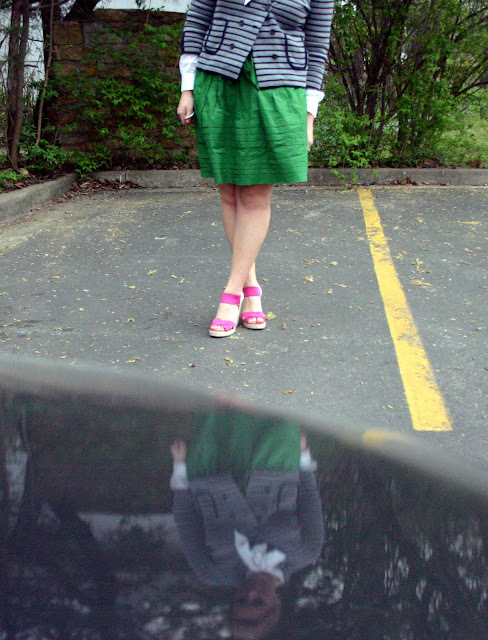 I have a major crush on wedges this season. 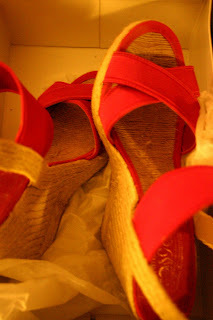 Wedges to me are SO comfy, and allow me to get some height and wear fun sandals, but keep my footsies comfy. So I got new shoes. Really cute ones. Meet Jaxon. 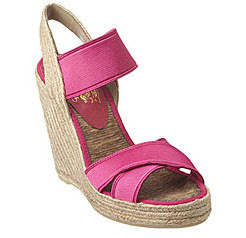 Nine West Espadrilles Jaxon in hot pink ($79), also come in black, brown & orange.